Oman is a beautiful country that might not be as posh and flashy as Dubai but still offers quite an amazing Halal holiday experience to Muslim travellers. In fact, Lonely Planet named Oman as one of the 10 best countries to visit! 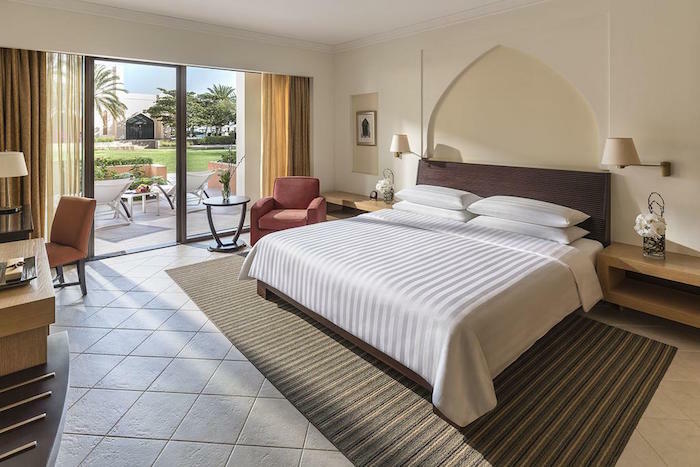 If you are planning a trip to this beautiful destination and would like to pamper yourself during your stay, then you should consider these 7 best luxury hotels in Oman! 7 best luxury hotels in Oman for a premium Arabian vacation! 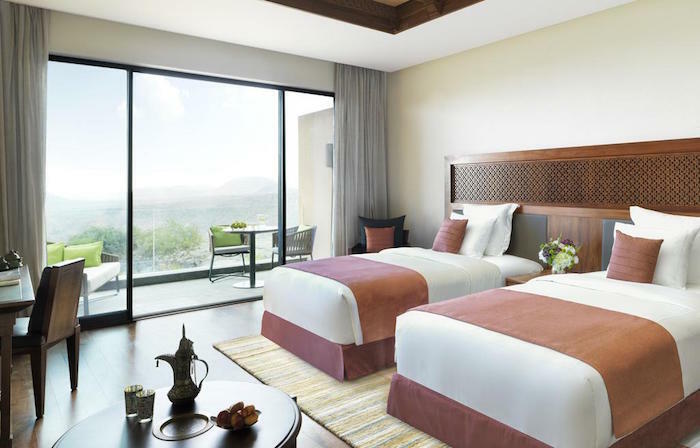 Anantara Al Jabar Al Akhdar Resort is one of the best luxury hotels in Oman that you can consider for your Halal vacation in Oman. This opulent five-star hotel is set on the edge of a beautiful canyon, giving you the beautiful view of Hajar Mountains. 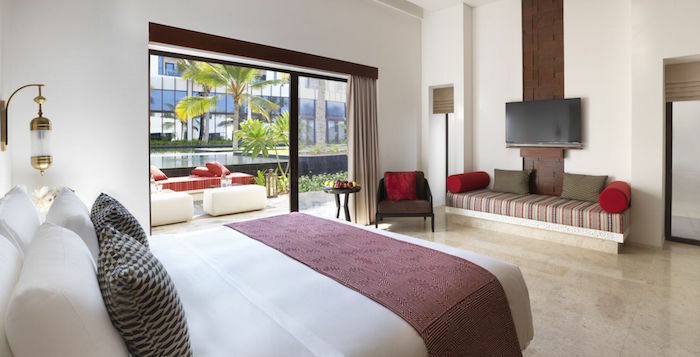 With its secluded location and serene ambiance, Anantara makes an ideal honeymoon hotel for Muslim newlyweds! 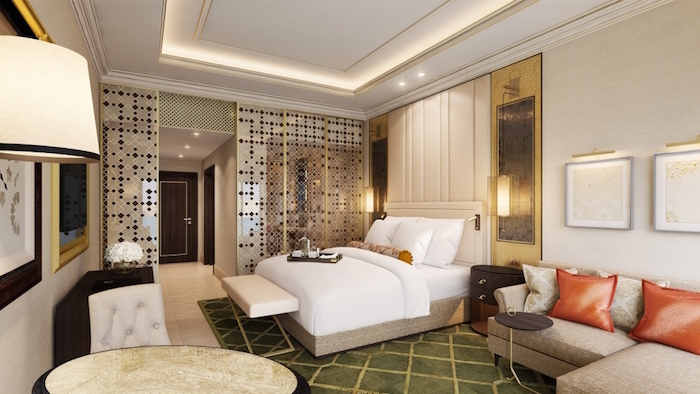 There are about 115 luxurious rooms and you will be able to enjoy a complete Wi-Fi connection throughout the whole property! How about staying at an award-winning luxury hotel in Oman for an unforgettable Arabian holiday? 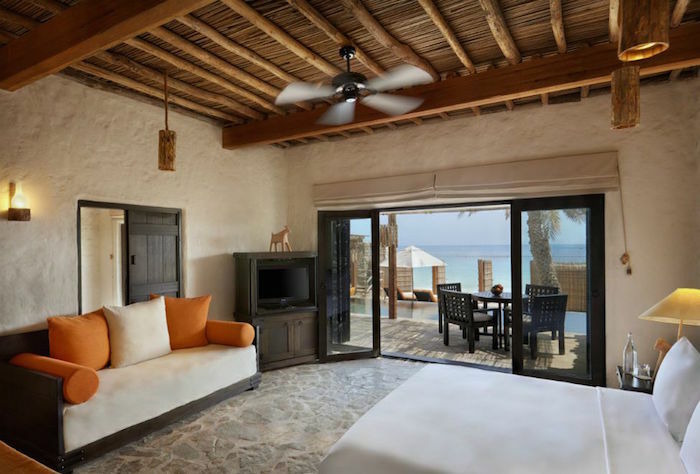 We suggest you stay at the five-star hotel of Six Senses Zighy Bay Resort. It sets in between the Hajar Mountains and the Gulf of Oman – you can enjoy the view of both mountains and sea! Here at the Six Senses resort, you will enjoy staying in a huge stone villa that is beautifully decorated with traditional Omani decor. They each come with its own private plunge pool! This is definitely one of the best luxury hotels in Oman for you to enjoy a relaxing holiday with your family. Are you planning to stay in Muscat during your Halal vacation in Oman with your family? Al Bustan Palace Resort is the best five-star option for you! It is set in a gorgeous and huge palm garden, offering you a relaxing and private holiday experience. 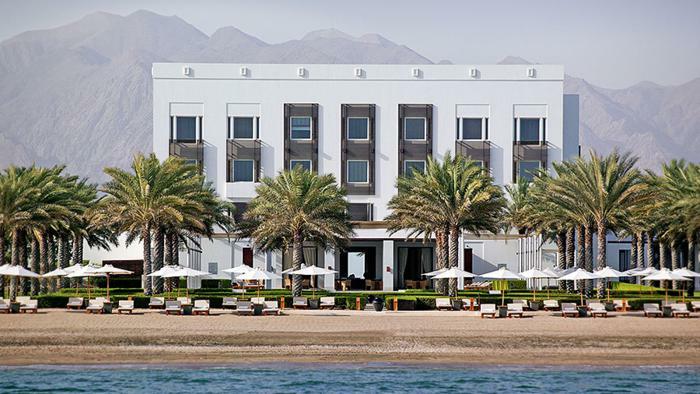 Al Bustan Palace offers you a beautiful ocean view, a 1km-stretch of private beach (the longest in Muscat! ), 3 onsite Halal restaurants and a fun kids program for your children to enjoy during your family vacation in Oman! Here is another top option of best luxury hotels in Oman worthy of your consideration: Shangri-La Barr Al Jissah Resort and Spa! This huge resort by the Gulf of Oman consists of two luxurious hotels – Al Waha and Al Bandar. These hotels are ideal for both honeymoon holiday and family vacation. The guest rooms are spacious and they offer either the view of the mountain, the garden or the sea. You should also know that there are seven Halal restaurants in this Shangri-La resort – you will never run out of dining options at this five-star hotel! 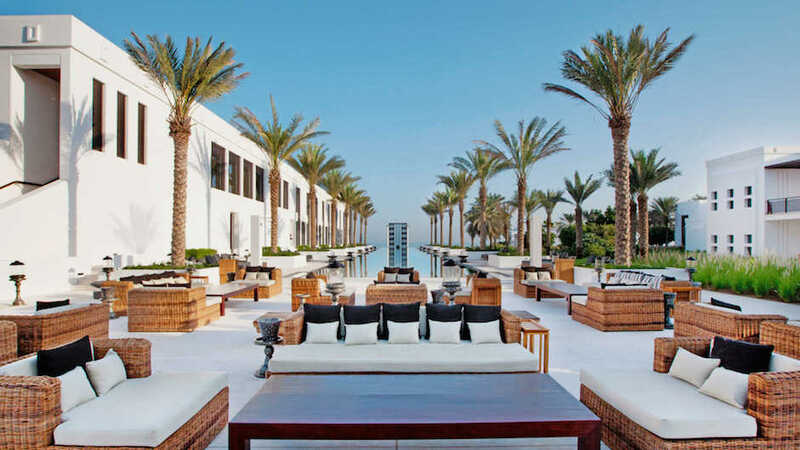 Also located in the prime area of Muscat, The Chedi Hotel is a beautiful five-star hotel that you can choose for your holiday in Oman. When you arrive at this luxurious hotel, you will be stunned by the gorgeous Moorish building. You’ll also enjoy the beautiful view of the palm trees set along the swimming pool and by the beach. The hotel is famous for its beautiful night view, thanks to the well-lit garden, long lines of candles and rope lights. There are over 150 rooms and each one is well-decorated with a minimalist design in mind. If you’d like to stay on the beach in a luxurious hotel, then Al Baleed Resort Salalah by Anantara is the hotel for you. It is a five-star villa resort that sits directly off the south coast of Dhofar in Oman. Here, you can enjoy a private stay with your family. The opulent villas overlook the beautiful sea and garden. Plus, they come complete with a private pool, marble floors, Omani decor, large bathrooms and a flat-screen TV with cable channels. With the view of coconut and banana trees, you’ll forget for a moment that you are in Oman – it makes you feel like you are in a tropical paradise! You can also choose to enjoy a unique experience by staying at this five-star Desert Nights Camps while in Oman. It is one of the best luxury hotels in Oman that can provide you with an unforgettable Arabian holiday. Located in the middle of a desert, you will need to ride a 4WD to arrive at this hotel (2-hour drive from Muscat). 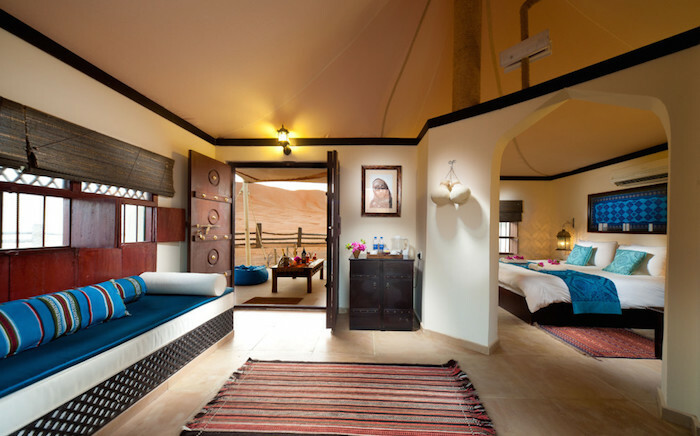 You will stay in one of the luxurious Bedouin-style tent (or non-tent standard room!) and enjoy a one-of-a-kind glamping experience. Some of the fun outdoor activities that you can do here are driving up the sand dunes, riding a camel, or simply, staring at the starry sky at night! As a rising tourist destination, Oman is never short of five-star hotels. They all offer amazing views, excellent services, comfortable guest rooms and plenty of Halal dining options to Muslim travellers.